To be honest, I'm not much of a golfer. Hand-eye coordination isn't one of my strengths. Not that my Papa didn't try to teach me. My (step) grandfather was an avid and talented golfer (and citizen of the Muscogee Creek Nation). If he were still with us, I know he would get a big kick out of the fact that his tribe now owns the Country Club in our hometown where he could only ever afford to play in the charity tournaments he won. 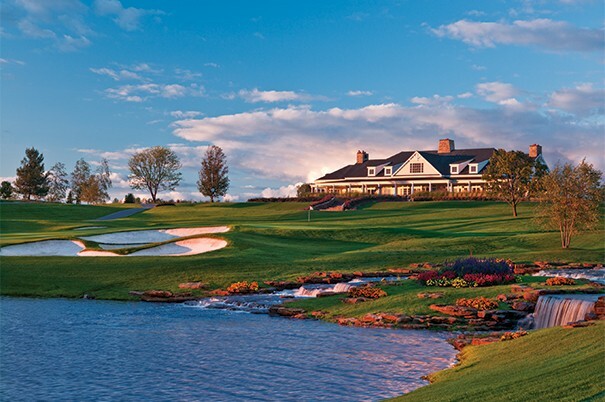 The stereotypes of Indians may rarely include golf clubs and rolling green courses, but the reality is that the number of tribally-owned golf courses in the US is on the rise, and some of those are award-winning facilities garnering high praise. According to the Indian Gaming Magazine map of Native-owned golf courses in the US - the most comprehensive list I could find online - there are 60 courses in 18 states, although some reports say up to 70 courses. California has nine, which is the most in any one state, with New Mexico, Arizona, Minnesota, and Michigan ranking close behind. Most of these tribal courses are attached to casino resorts, and some of the golf course expansion in Native communities is merely an outgrowth of the boom in these resort properties. However, some of the rising popularity may be tied to the fame of Native golfers Rickie Fowler, Jeff Curl, and Jessie Smith, as well as Notah Begay III, four-time PGA tour winner and owner of the NB3 Consulting Group. The mission of NB3 Consulting is "to work with American Indian Tribes on the development of new golf course projects and the renovation of existing golf properties." As a result, Begay was named one of the Golf Innovators of the Year by Golf Magazine in 2007. The courses the company has helped to build are award-winning. The Notah Begay III (NB3) Foundation also runs golf camps for children designed to promote health and leadership development and to create access for Native youth to the game of golf. We may see quite a few more elite indigenous golfers in the coming generations! Until then, you can enjoy some Indian Country vistas while you play a round of 18 holes. Indian Country Today Media Network article from February 15, 2013, "Native-Owned Golf Courses Earning Topflight Honors: Turning Stone and Hickory Stick Play Through"
Golfers West article from June 3, 2013, "Who's saving golf? Native Americans"